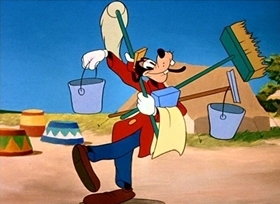 Goofy tries his hand at a big job in the circus : feeding and washing the elephants. 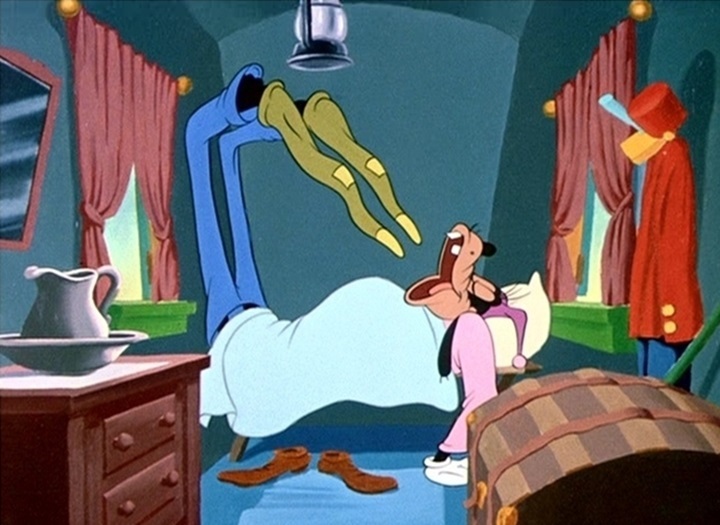 This is one of my favorite Goofy shorts. 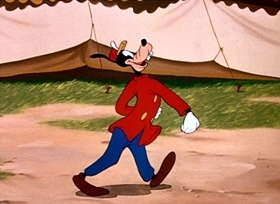 Instead of having all those Goofy look-alikes, it focuses on the original Goofy. 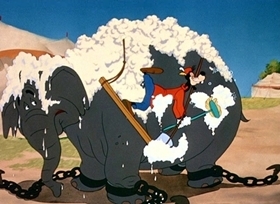 The plot focuses on Goofy, who is a circus employee, trying to give Dolores the elephant a bath. 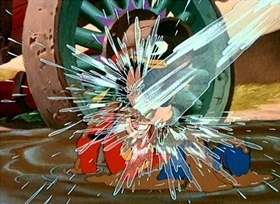 What is ironic about this cartoon is at the end, Goofy is the one who is receiving the bath ---- from Dolores. This short is one of very few Goofy cartoons which does not use a narrator, making me wish that more had been made like this since it is one of my favourites. A great deal of the humour comes from the personalities of Goofy and Dolores. 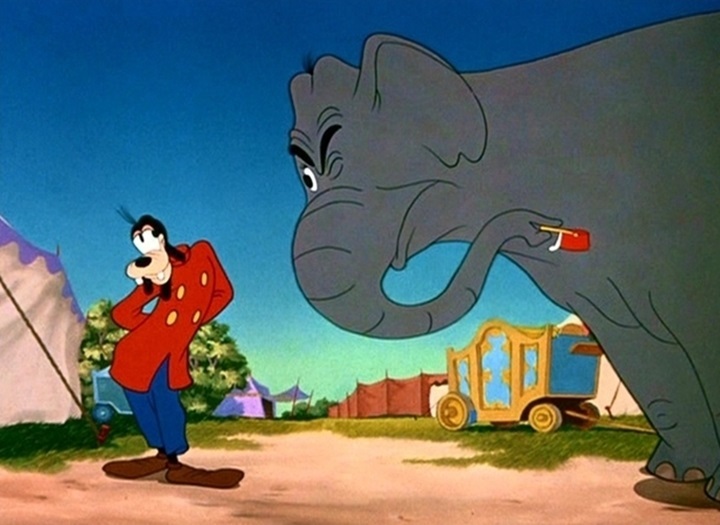 They both care about each other, but Goofy must make the elephant do something she does not want to, i.e take a bath, while she does everything she can to get out of it. They both display a degree of cunning which is a lot of fun to watch. I find the funniest part to be when Dolores disguises herself as a clown and Goofy greets 'him' with a "Good morning, Sir! ", not finding the fact that this clown is preposterously enormous strange in the least! Soon after, Dolores fills his clothes with water from a hose, giving him a hugely bloated appearance. 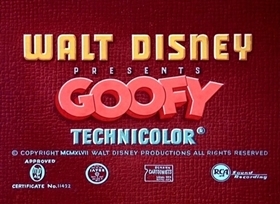 Poor Goofy can't quite work out what's going on and scratches his head saying, "Sumthin' wrong here!". This phrase was one of Goofy's catchphrases in the classic shorts, but he never seems to say it in his more recent appearances on screen. 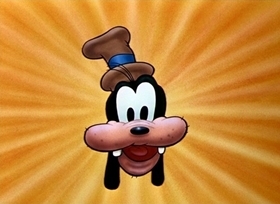 This is a pity because this saying demonstrates how Goofy is often not quite able to realise what is going on around him, which is a key part of his personality. A very fun and funny short. 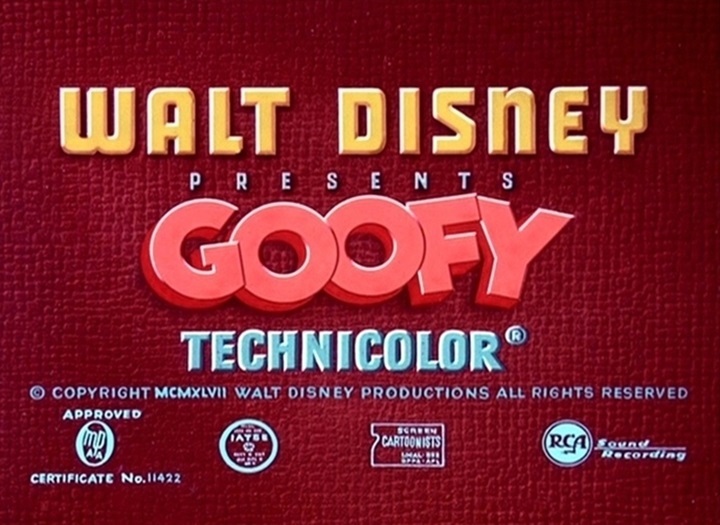 It was cool to see Goofy outside of a "how-to" short or one with lots of Goofys. Delores! Loved his song and dance at the beginning. 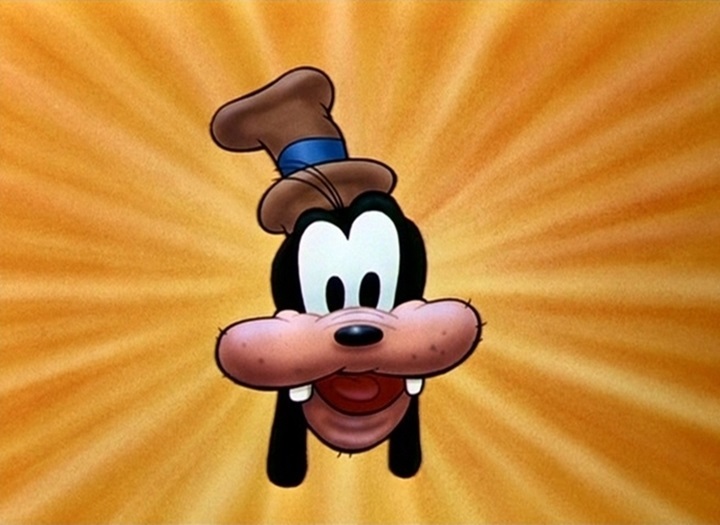 Just another example of why Goofy rocks. 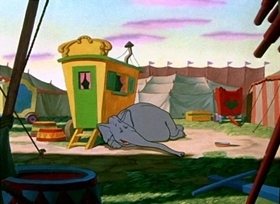 I noticed Dolores' sneeze was similar to the two Pluto shorts Pantry Pirate and Springtime For Pluto. 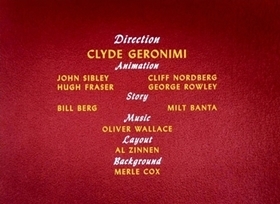 which is my personal favorite Disney short. 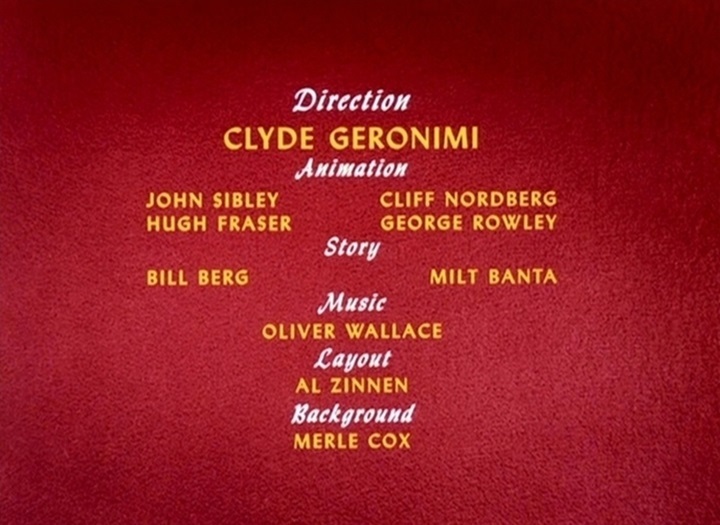 A short that really influenced my life-and as an aspiring animator too. The water inflation bit fascinated me. Ever since I saw it when I was like 2 or 3-I've longed to be the first to do it to a female character. Makes me wonder why Disney hasn't reused it on one yet. Oh how great it'd be to see a girl like Gadget going through the same trouble! I saw this short in "The Roots of Goofy" on the Disney Channel during the early 1990s. 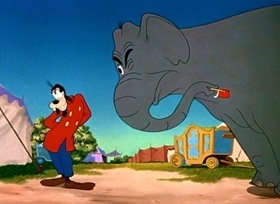 The elephant in this cartoon is the same elephant from Tiger Trouble". That short was set in Asia because tigers are found in Asia, not Africa. Just think of Shere Khan, the zoological antagonist from "Rudyard Kipling's The Jungle Book" which was a live-action remake of the 1967 animated film. 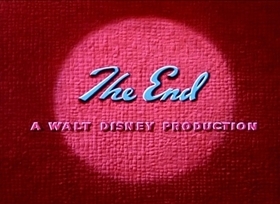 I recommend this Goofy short to audiences who view Disney classics. Ah, the age old gag of one of the Disney characters attempting to give an animal a bath has returned. In The Big Wash, it’s Goofy’s turn to take on this cliché, as he tries to bathe a circus elephant. 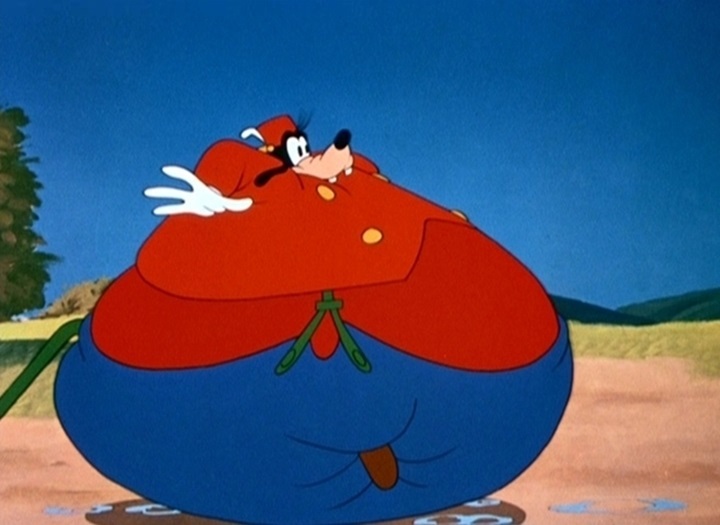 It’s a deviation from the norms of Goofy’s “How To” shorts, and it comes of as a bit of a mixed bag. After all, in situations like this, we expect to see Donald Duck. 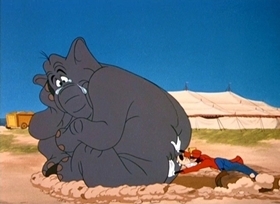 He’s the one who would be able to properly express the frustrations and anxiety of trying to bathe a giant elephant. You would expect the garbled invective to flow freely from our favorite duck. Instead, we get the contrast of a cheerful Goofy meandering his way around the elephant and getting foiled at every turn. 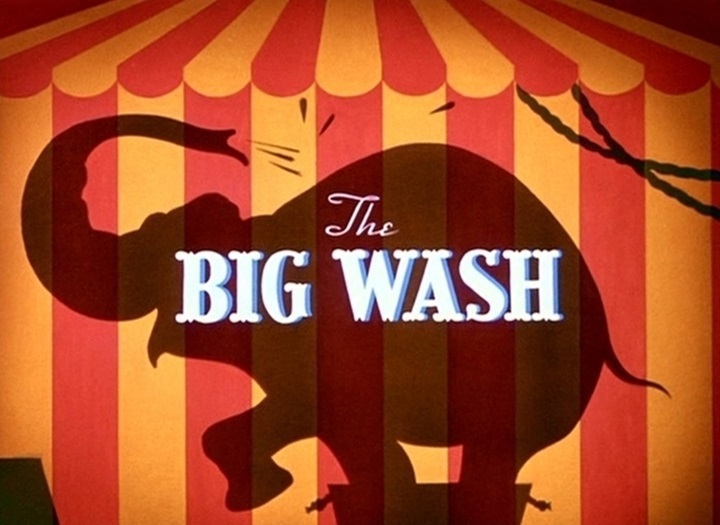 In a way, that’s what makes The Big Wash work. Goofy’s lack of irritation makes this humorous in a way that Donald could not. 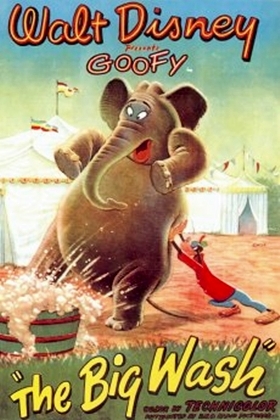 He smiles as the elephant fills his pants with water to the point of bursting, or as he ends up on his behind in the mud. Goofy is able to shrug it off and keep trying to wash Dolores the elephant. He even sings a song while he does it. Where I felt this short did not measure up was in the gags. After all, we’ve seen Pluto try to avoid a bath before in a couple of shorts, and have seen his ways of getting out of it. 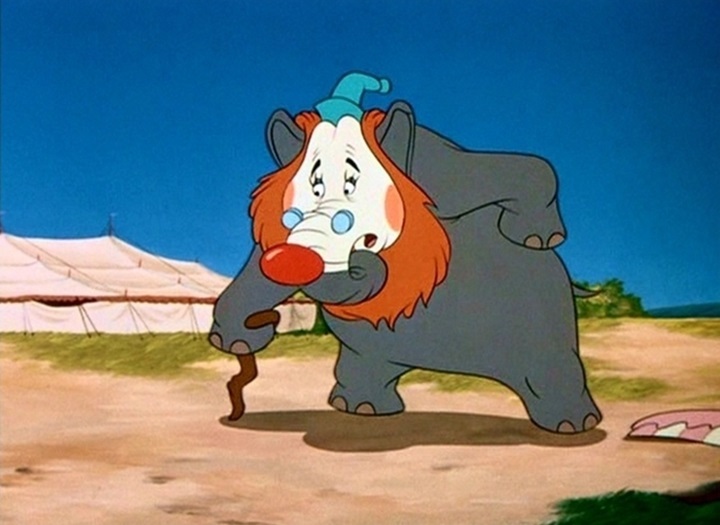 By comparison, Dolores the elephant should have some very different and original things to try. Honestly, though, everything that the elephant tries is less amusing than it could be.